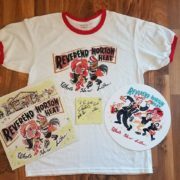 We’re giving one lucky person a Reverend Horton Heat “Whole New Life” prize pack, which includes a ringer t-shirt, vinyl, signed CD booklet, and album slipmat, courtesy of Victory Records! 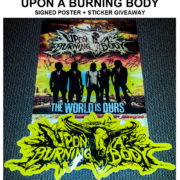 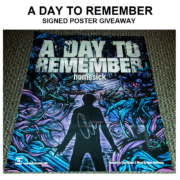 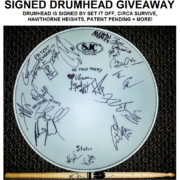 We’re giving one lucky person a prize pack including items from bands including: Panic! 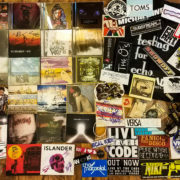 At The Disco, Gym Class Heroes, Hawthorne Heights, Five Finger Death Punch and more. 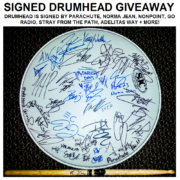 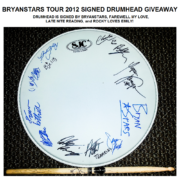 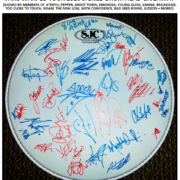 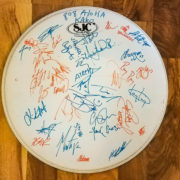 We’re giving one lucky person a drumhead that is signed by bands on the Vans Warped Tour 2016 lineup, including: Atreyu, With Confidence, Pepper, Young Guns, Emarosa, Vanna and more.